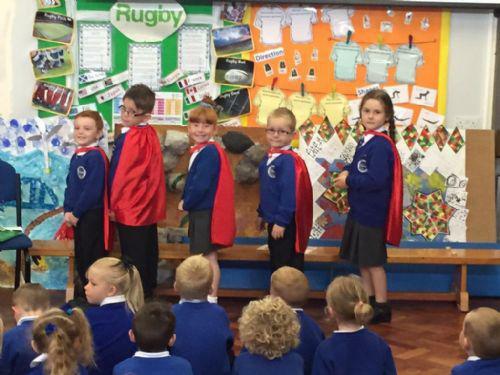 This year's Eco Council have decided that they want to be called Eco Superheroes! They went to Mrs Williams and said why they would be good Eco Coucillors and after looking at all the applications, Mrs Williams decided on her Eco Counil - or Eco Superheroes this year. As an Eco Council we will be listening to your ideas about how to care for our school and our planet, will be making an action plan and we will be helping you to follow our Eco Code.